Have you noticed how Vietnamese market stalls and restaurants are cropping up everywhere? Their success seems to revolve around a few key offerings: the banh mi baguette sandwich, the bun noodle salad and the hugely popular pho soup. The soup was brought to Vietnam by the French in the 19th Century. And no, it’s not fe, fi, pho fum – the pronunciation of pho is more like the phoo in phooey, as in the French word ‘feu’ for fire and is said to come from ‘pot-au-feu’ a French broth with meat and vegetables. Over time the Vietnamese made the soup their own and it’s evolved into a clear soup with noodles, usually served with beef or chicken. Other ingredients are supplied separately such as herbs, bean sprouts, spring onion and chilli and added at the table. Sauces and condiments can also be used, hoisin is popular in South Vietnam, whilst sriracha and soy are standard options. Just another Asian noodle soup? Large bowls of broth with noodles are common throughout Asia. The Chinese have been eating noodle soup for centuries and their version of noodle soups – especially using the wide ‘ho fun’ rice noodle as they do in Vietnam – have always been available in Chinese restaurants. During recent years, many Japanese-style restaurants in the UK have introduced similar noodle soups in the form of ramen. 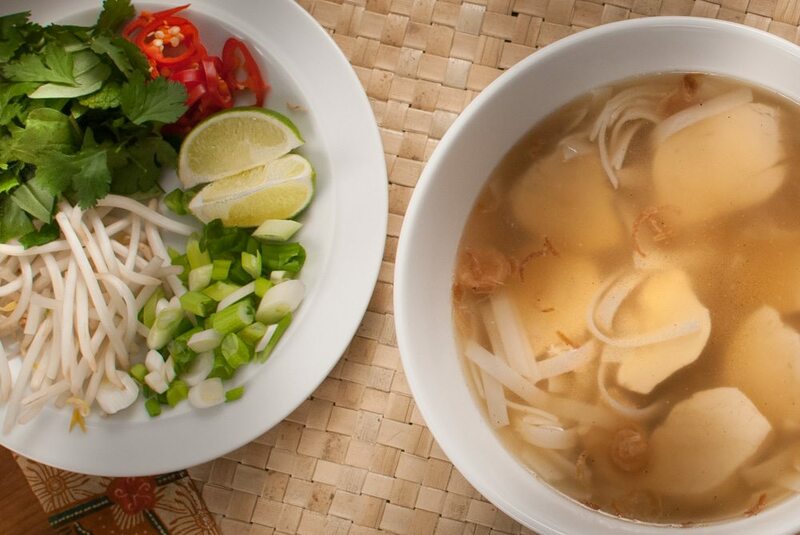 So if this style of soup is commonplace – what’s causing the pho phenomenon? One explanation – and it’s a fine distinction – is that pho has a slightly greater emphasis on the broth. We learn from experts and practitioners that ramen and pho stand by the quality of their broth. But why are we in the UK suddenly interested in broth? We’ve never been very fond of consommé and we are usually suspicious of any other type of clear soup. Our perception of a broth has long been tainted by Dickensian tales of the workhouse, or of hardship and poverty. Our natural reaction is to seek the richest, creamiest and most protein-packed, hearty soup available. Supermarket soup shelves confirm this. But for how long? Based on current trends we’d rather be eating pots of pho. The popularity of pho (and ramen) soups may be due to a new appreciation of the sustaining benefits of broth. Americans have long understood the goodness of broth. One of America’s best-selling commercial soups is Campbell’s ‘chicken noodle soup’ which is basically broth in a can. But the inspiration behind this iconic soup owes everything to a timeless recipe that’s been an eternal bedrock of Jewish cuisine: chicken soup or ‘golden broth’ as it was once known. This broth’s reputed medicinal ‘cure-all’ effects are well established and although these benefits are still debated, what is not in doubt is that the soup is a highly revered and satisfying comfort food. This broth might even have claim to be the original ‘soul food’. Some modern cooks are calling meat-based stock ‘bone broth’ and while a classically trained chef might wince at the attention-grabbing construct, bone broth is actually an apt description for pho. Pho aficionados are quick to explain that the best broths are made by simmering beef bones for up to seventy-two hours. After this time the bones will have surrendered all their internal nutrients to the broth, adding flavour, gelatine and especially marrow. Keen to learn more, I ordered a bowl pho in a Vietnamese restaurant and then talked to the chef to see if she might pass on some of her wisdom. 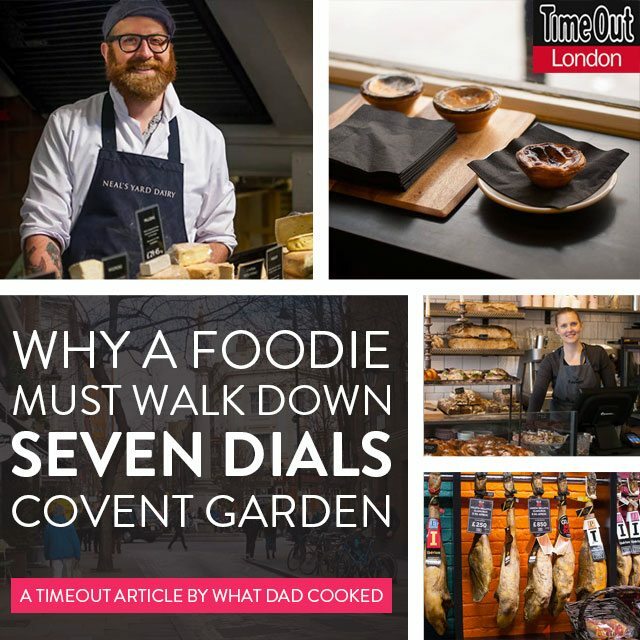 Much was lost in translation, however, I was struck by the continual use of the word ‘flavour’ – it seemed that everything was chosen for its ability to add flavour. Yet, I understood enough to know that this does not mean that we should throw the contents of our larder into the stockpot. Rather, what is needed is a select group of ingredients (depending on the type of broth) and then a long and patient period of cooking until the maximum flavour has been yielded from the process. Even the traditional accessories to pho are added at the end to maintain the freshest flavour. What does pho taste like? Eating pho is like having a cup of tea – it sates thirst, but also acts as a pick-me-up and restorative. The temptation is to say, ‘Ahhhh, pho…’ There is a complex depth and richness to the broth with hints of smoke, Asian spices and aromatics. You can adjust and season further by adding other ingredients and sauces at the table. It’s perfect for a light lunch, or when accompanied by a few starters or sides it makes a filling dinner. In summary, pho is fun to eat, it’s healthy and it tastes great. This may explain its popularity.